Step back in time and onto the Atlantic City boardwalk circa 1900. Smell the coffee and bakery. Watch street performers. Shop. Play games. Go dancing. Or, just take a stroll along the water. Disney’s Boardwalk Inn & Villas will take you there. 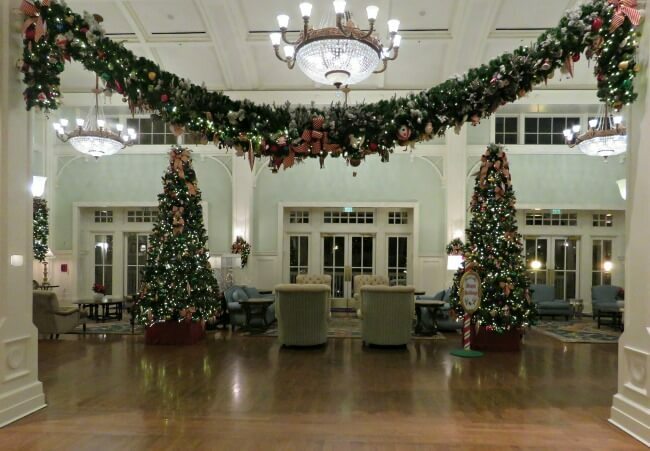 Disney’s Boardwalk Inn & Villas is a deluxe Disney resort at Walt Disney World in Florida. It has more to offer than any other WDW resort. You can easily walk to both Epcot and Disney Hollywood Studios from here. There are a multitude of restaurants and entertainment options. 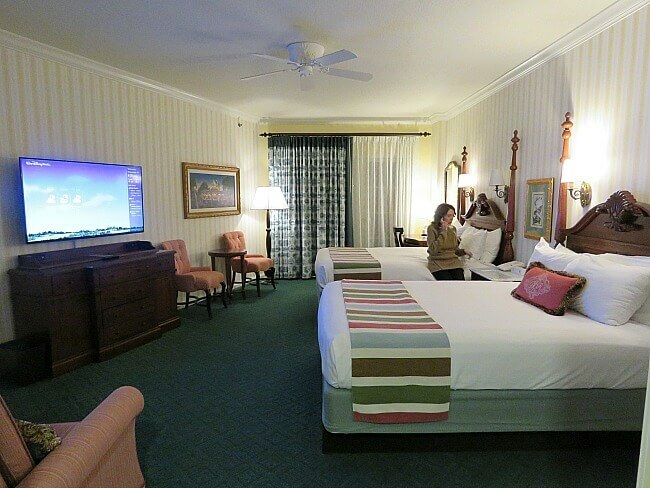 Should you choose to stay at Disney’s Boardwalk Inn & Villas when visiting Walt Disney World? We recently stayed there (our second time). Here is what we found. When visiting Walt Disney World, the major focus is on the parks. 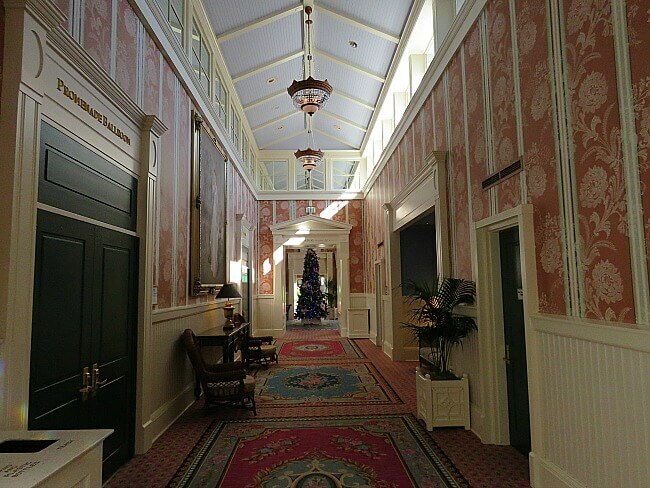 Our favorite Disney resort hotels are those with the easiest access to the parks. Disney’s Boardwalk Inn & Villas, along with the Yacht & Beach Club, have the best access to Epcot. There is a “secret” World Showcase entrance to Epcot that opens between the UK and France pavilions. Only a 1/3 mile lies between the front the Boardwalk resort and this entrance. 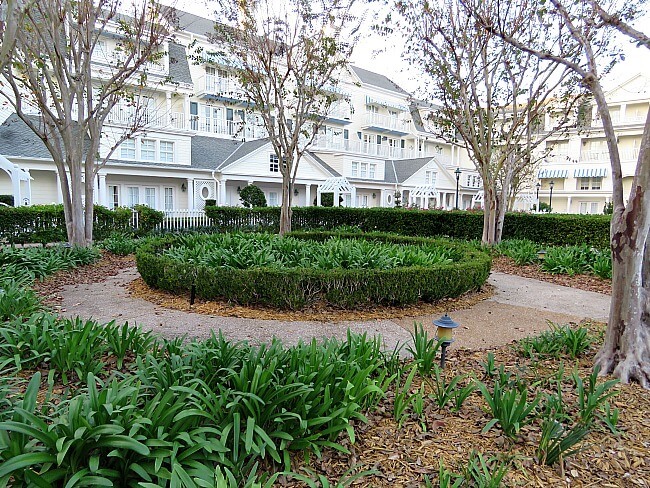 Disney’s Boardwalk Inn & Villas has the best location of any Disney resort to Disney Hollywood Studios. Depending on which part of the resort you are staying, it is between a 1/2 to 2/3 mile walk to the entrance. It is a pleasant, flat walk along a canal. You can also take a Friendship to either park. This is my favorite mode of Disney transportation. Whether you decide to walk or ride a boat, if you love Epcot and/or Hollywood Studios, then Disney’s Boardwalk Inn & Villas cannot be beat. To get to either Magic Kingdom or Animal Kingdom, you have to take the bus. As with all things Disney, there is always a theme and a story behind everything. 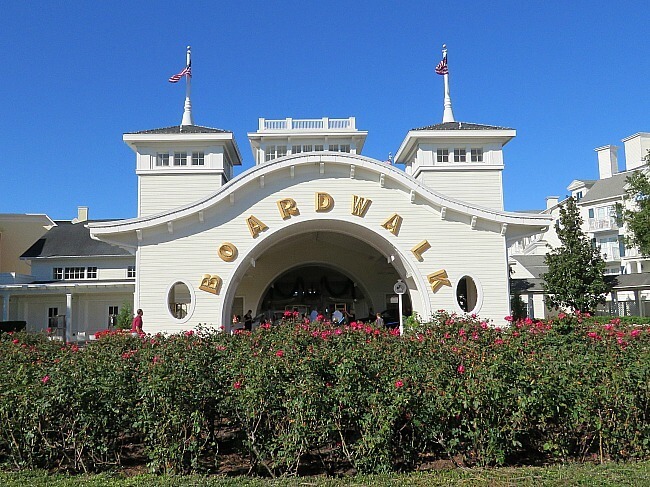 Disney’s Boardwalk Inn & Villas takes you to Atlantic City, New Jersey at the turn of the 20th century. It has a lively, coastal, Victorian feel. Disney’s Boardwalk Inn & Villas has more dining options than any other Disney resort; by far. For upscale dining in an elegant atmosphere, there is Flying Fish. Trattoria al Forno serves Italian food in a more laid back environment. Do you want a sports bar to eat and watch your favorite team? Then ESPN Club is for you. Big River Grille and Brewing Works is a restaurant and brew pub with its own, onsite, microbrewery. Plenty of quick service options give the family a good variety. Boardwalk Bakery has soup, salads, sandwiches, and bakery treats. The Boardwalk Pizza Window serves arguably the best pizza at Walt Disney World. Ample Hills Creamery has delicious ice cream and stays faithful to the turn of the century theme. 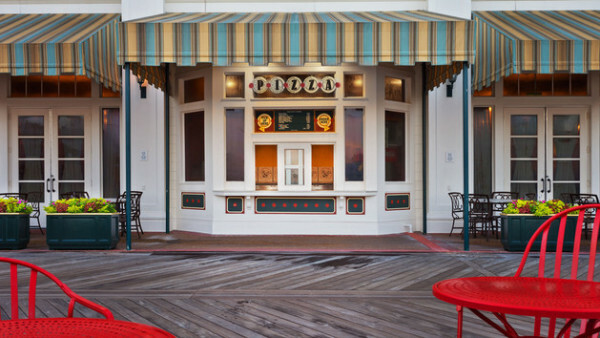 At Boardwalk To Go Kiosk, order hotdogs, cheese sticks, meatball sandwiches and more. If you are looking for something to do away from the parks, then the Boardwalk again has you covered. The only Disney property that can compare is Fort Wilderness Campground. Disney’s Boardwalk Inn & Villas has all of the things that you find at other Disney Resorts. You have three swimming pools from which to choose. Two are quiet pools where you can relax. The main pool has a Coney Island theme with roller coaster water slide that empties through a clown’s mouth. Dumping out of clown’s mouth kind of creeps my out, though. I do not like clowns. You have tennis courts, night time movies on the lawn, and a nightly marshmallow roast. You can rent a surrey bike and cruise around Crescent Lake. Take a fishing expedition. For free, you can cruise Crescent Lake and the Boardwalk canal from Epcot to Hollywood Studios aboard the Friendships. Shopping is similar to other Disney deluxe resorts, except that the Boardwalk has a Wyland Gallery to browse. Disney’s Boardwalk Inn & Villas has night life that none of the other resorts can match. Jelly Rolls Dueling Piano Bar has live entertainment and audience sing-a-longs for adults. Do you want to go dancing? Then the Atlantic Dance Hall is the place to be. It has also hosted ESPN’s Espy Awards. The Belle Vue Lounge inside the Boardwalk Inn is a quiet place to relax, away from the crowds. Boardwalk Joe’s Marvelous Margaritas and Leaping Horse Libations have you covered if you want to sit on or stroll the boardwalk and people watch. 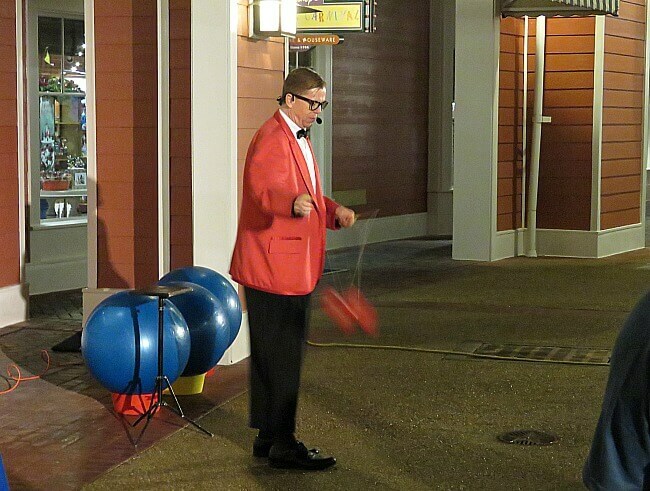 In the evening, you will find street performers on the boardwalk. The shows are similar to Streetmosphere at Hollywood Studios. The juggler-comedian put on a particularly inspired and funny show. The rooms follow the overall theming with a mid-Atlantic, Victorian motif. They are relatively large, clean, and comfortable. Disney resorts and cruise ships have some of the most comfortable beds that I have found. Disney customer service is renowned. You will find the same at Disney’s Boardwalk Inn & Villas. From the front desk to the maid service, Disney hospitality shines, though. Disney deluxe resorts are expensive. We have stayed with Disney Vacation Club points and by attending a paid conference. These options make it much more affordable. 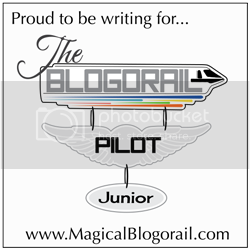 I will be writing on the Disney Vacation Club in the future and will give details. 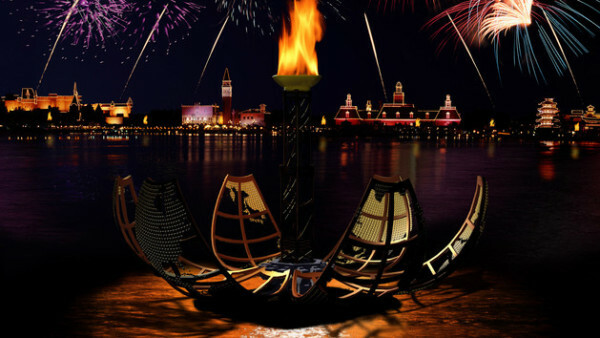 Is it the best Walt Disney World Resort? For a lot of families, Disney’s Boardwalk Inn & Villas is the preferred Disney resort. With all that it has to offer, how can you argue? Well, it is our third favorite. We love it, but we love two others more. Our favorite resorts remain the Contemporary Resort (and Bay Lake Tower) and the Beach Club. Magic Kingdom is our family’s favorite park. The Contemporary is the only resort from which you can walk directly to Magic Kingdom. Again, on a Disney vacation, it is about the parks for us. Beach Club ranks second due to being quieter, more laid back, prettier, and it is as close to Epcot as Boardwalk. It also has the best Disney pool. 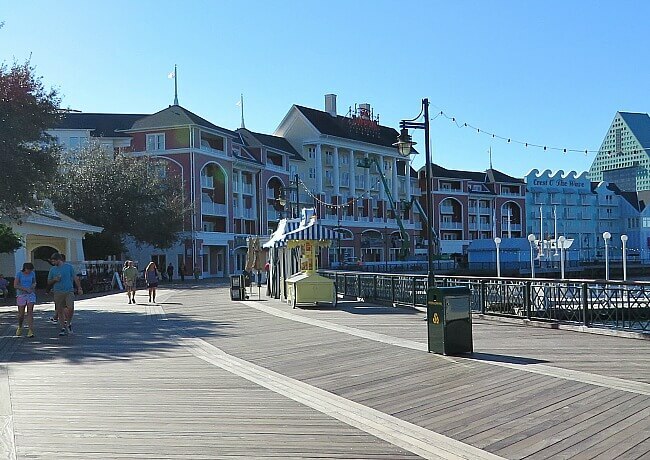 If you want night life, a myriad of dining options, and tons to do away from the parks, then Disney’s Boardwalk Inn & Villas is an excellent choice. Adults can extend their nights even after park closing. There is enough to do here to even skip the parks for a day if you wish. 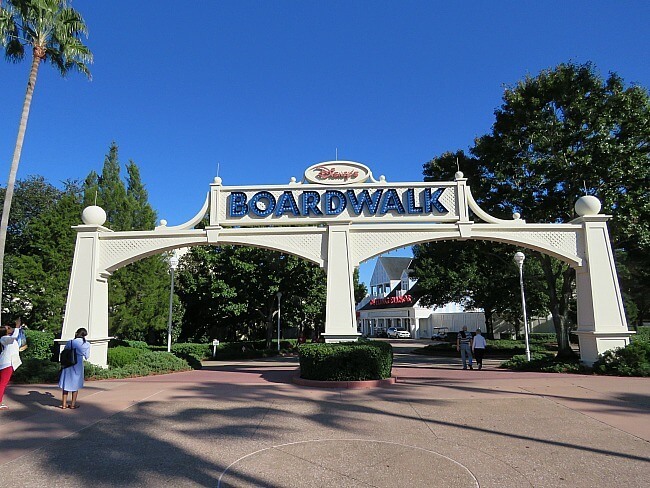 If you are an Epcot and/or Hollywood Studios fan, then again, Boardwalk (or Beach Club) is your best choice. The only downsides are cost (quite hefty), and requiring a bus to get to Magic Kingdom. We rented points for Boardwalk Villas last time we were at Disney and loved it! I loved how close it was to Epcot and the boardwalk. You can’t beat Boardwalk if you are an Epcot and Hollywood Studios fan. Renting DVC points is also a great way to stay cheaper. We are DVC members and have rented our points before.